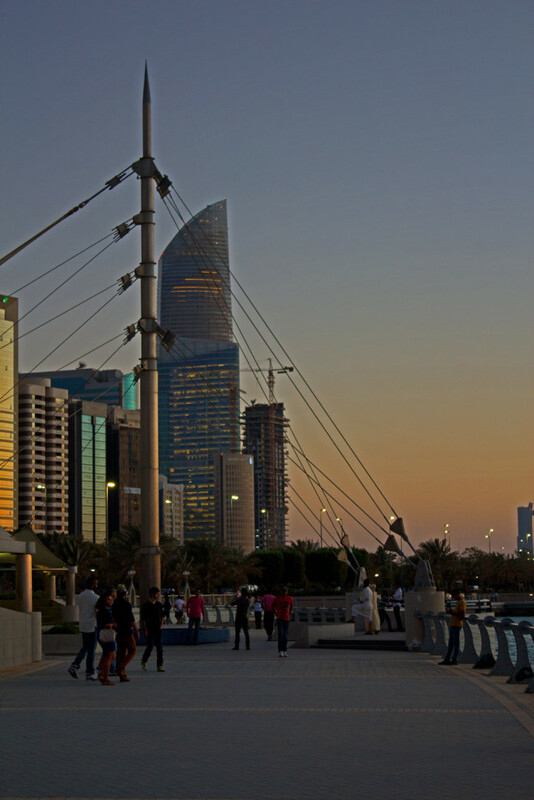 While Abu Dhabi wasn’t exactly busting at the seems with things to do or see, it is a much smaller and calmer city to be based in than Dubai. Life seemed a little less fast-paced there whereas in Dubai, it felt manic and somewhat intense. 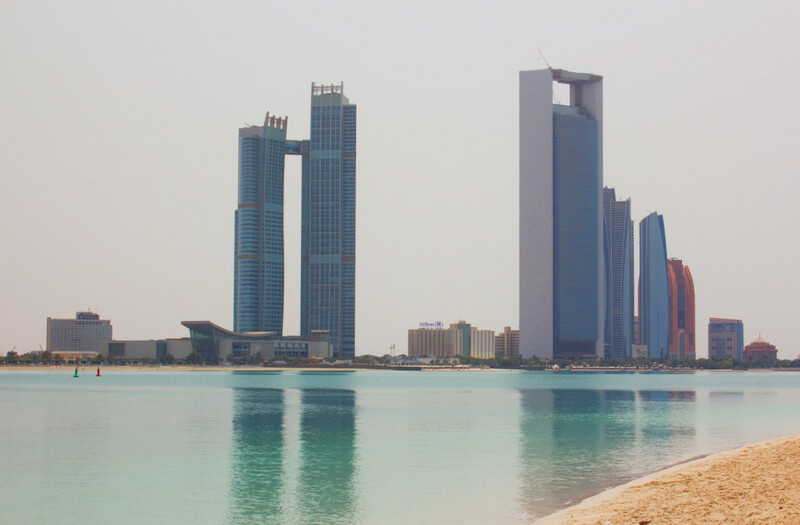 Here’s a little more of what Abu Dhabi has to offer outside of our Desert Safari and the Sheikh Zayed Grand Mosque. 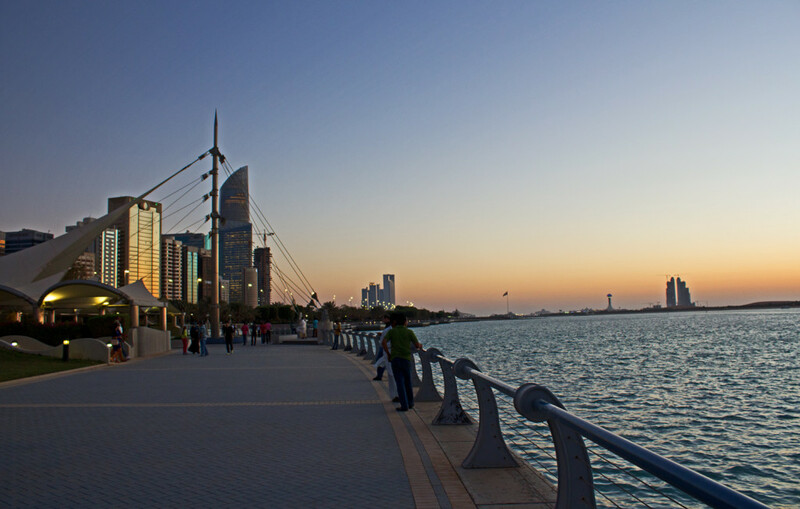 The Corniche is located on the western side of the main Abu Dhabi island and is lined with cycle paths, fountains and park area. 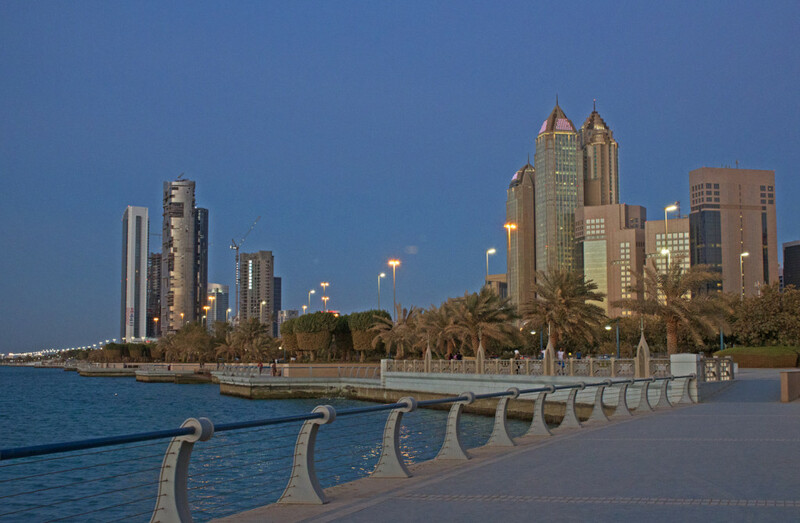 The strip is very pleasant to walk along in the evening, especially at sunset. 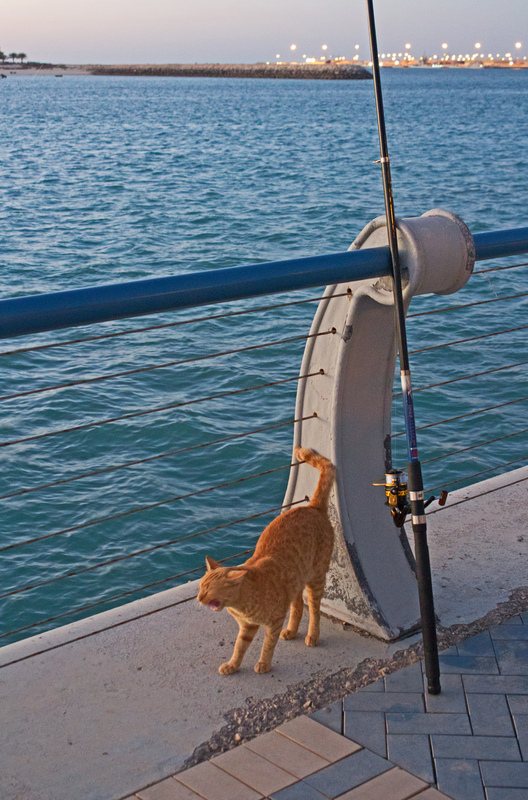 You can find many people wandering about, fishing, or relaxing at the various parks scattered along the stretch of road. There are also many adorable, stray cats just roaming around – I wanted to rescue them all and take them back to Florida with me! 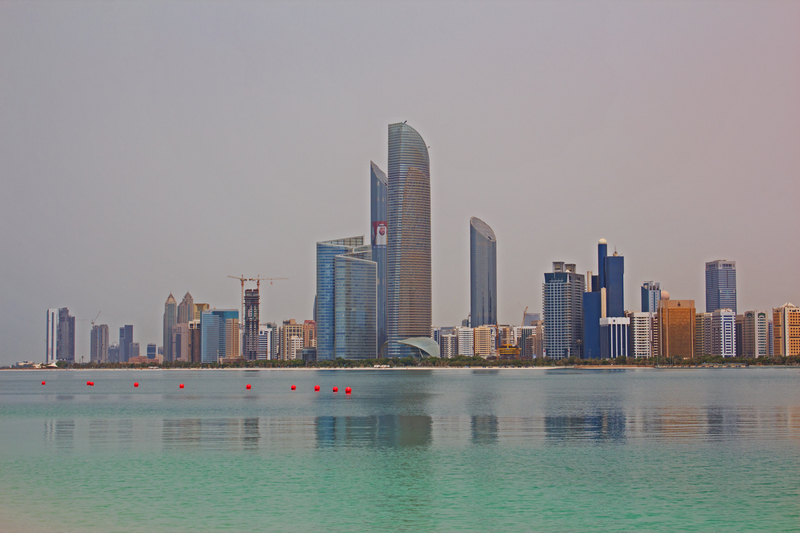 Abu Dhabi is home to Formula Rossa – the fastest roller coast in the world. You can find Formula Rossa at Ferrari World, an indoor theme park located on YAS Island. If you love a good thrill, then this coaster is definitely for you! You strap yourself to the inside of an F1 cockpit and then pray for your life as you are accelerated at a speed of 150mph (240km/h) in under 5 seconds and discover what 4.8Gs really feels like. You are then launched 52 metres into the sky before flying through chicanes inspired by some of the world’s most famous race tracks. I was hoping to take my GoPro along for the ride, but this thing goes so fast, you aren’t allowed any items on you and you even have to wear safety goggles to protect your eyes. I don’t think I have ever screamed so loud or so much on any roller coaster before, and I live in the theme park capital of the world; Orlando, Florida! Want luxury at its finest? 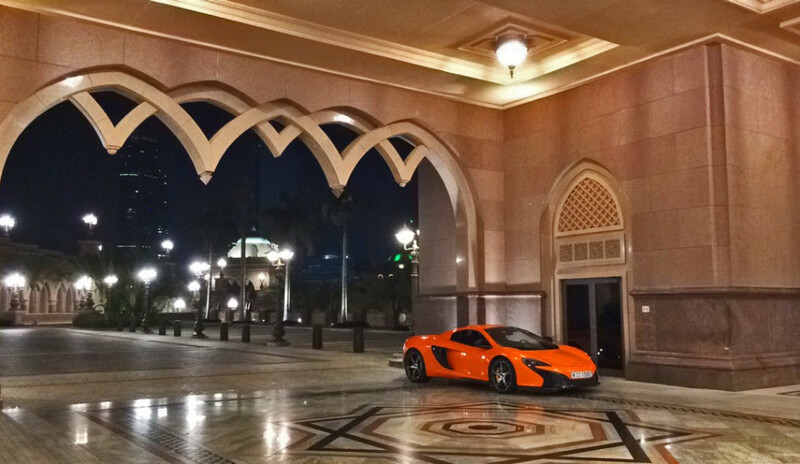 Then you’ve come to the right place – Emirates Palace is ranked as the second most expensive building in the world. Costing a whopping $3 billion USD to build, the Palace sits on over 100 hectares of land with 1.3kms of private beach and 85 hectares of gardens and lawns. 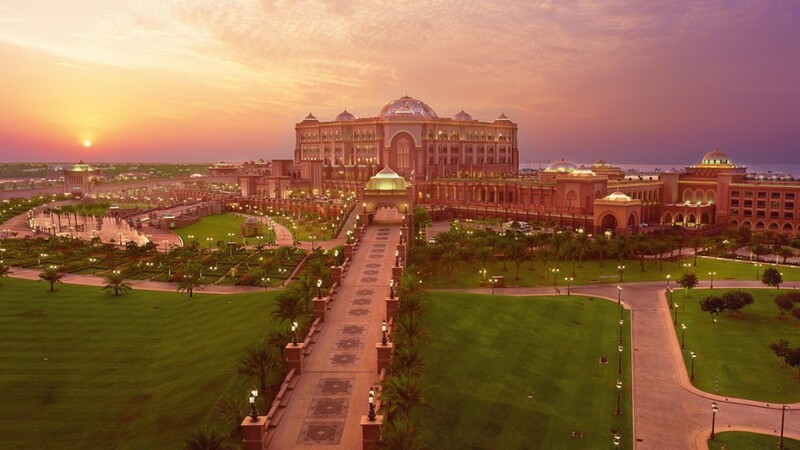 Emirates Palace comprises of 394 rooms and suites offering the most superior of comfort and luxury. 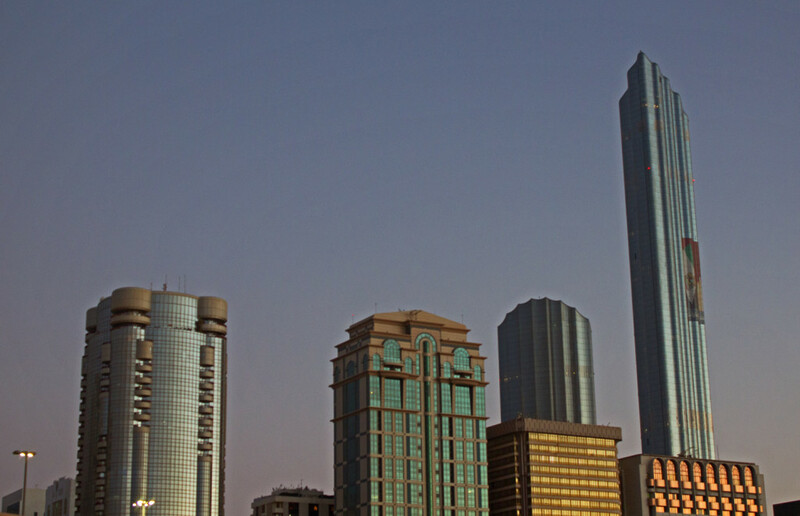 While the hotel is officially ranked as a five-star resort, many hotel critiques have said it deserves a 7-star rating. Fun fact: The hotel features the world’s most expensive Christmas tree which is valued at $11 million USD. How insane is that?! While at Emirates Palace we dined at Hakkasan, just one of the many restaurants located inside the hotel. Hakkasan serves up contemporary and conventional Cantonese cuisine as well as a very elaborate drink menu. The atmosphere is very slick and hip. Dim lighting sets the mood, while the terrace-laced, dark walls and private cornered-off tables help create a somewhat curious and intriguing setting. I ordered the stir-fry kung po roasted duck with dried chilli and cashew nut – it was delicious! We also ordered a serving of Hakka hand-pulled noodles with mushroom and chive for our table. Despite my dislike for mushrooms, these were some of the best noodles I’ve ever had at a Chinese restaurant. Overall, a very satisfying meal. 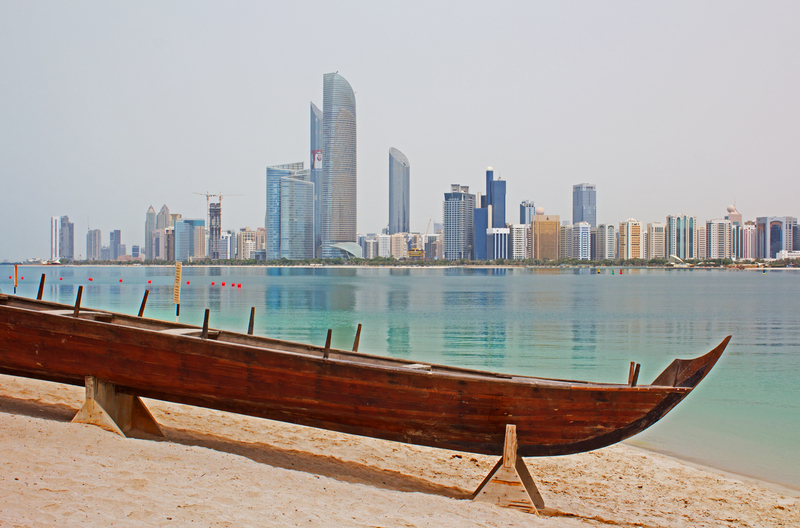 After reading up online about Abu Dhabi’s Heritage Village, I wasn’t too sure what to expect. This reconstruction of a traditional oasis village is supposed to provide a glimpse into the emirate’s past, but really, it just seemed like a tacky tourist attraction – extremely underwhelming. While trying to find somewhere unusual and different to brunch at, we came across Shakespeare & Co at Central Market. 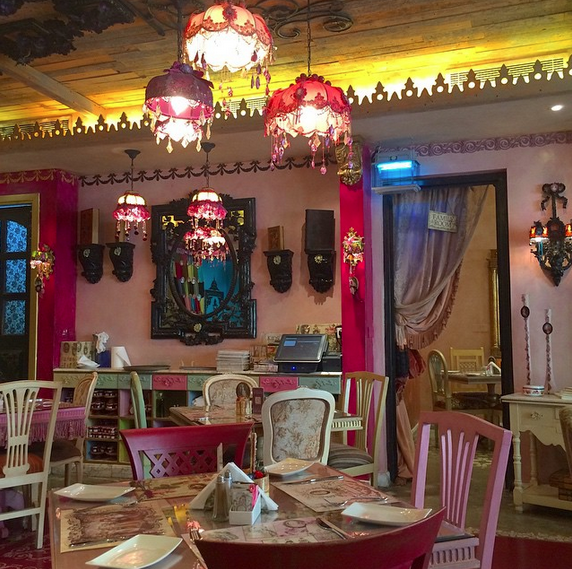 Both the menu and the restaurant interiors are French-inspired and are absolutely adorable. The menu here was pretty extensive and there is definitely something to suit everyones tastebuds. From memory, the turkey and cheese crepe was particularly good.